A picture of Gwyneth Paltrow enjoys pride of place on Chris Molyneux's desk. 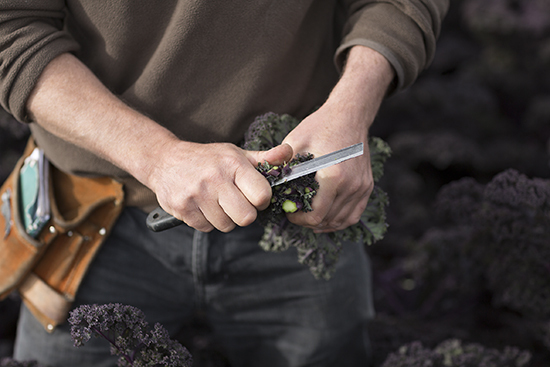 "She's my kale pin-up" he admits, after a morning driving me around 400 acres of Lancashire farmland in his dusty 4X4. Kale, it's fair to say, has gone from zero to hero in a heartbeat. Or as singer and comedian Bette Midler tweeted: "Kale is burning up the veggisphere ... Never saw a veg go from wretched to wonderful so fast." Kale is now the "superfood" of choice from everyone from Paltrow to Victoria Beckham, a transformation of fortunes that's been glorious news for the Molyneux family, who have grown the crop for three decades. For years, their sales were feeble. "Nobody was interested," Chris admits. During the 1980's and 90's the Molyneuxs mostly sold their modest crop to fishmongers for sprucing up their displays. (It lasts longer than parsley therefore is more economical). 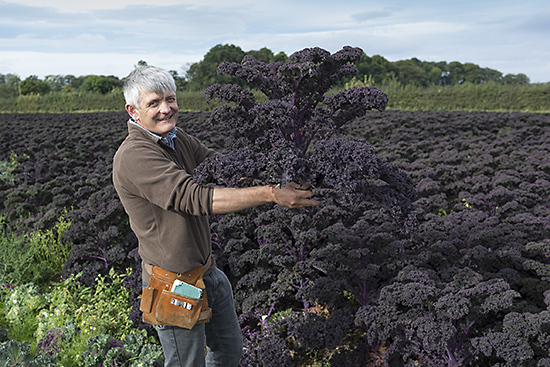 Now Chris Molyneux, via his Molyneux Kale Company, is growing around 500-600 tonnes of green curly kale per year, plus an array of other varieties including purple, variegated white, variegated purple, Purple Queen, White Queen and Japanese White. Suppliers here on the Market include P & I and Premier Fruits – see their contact details below. It was disastrous weather that forced Chris Molyneux to focus on the kale business. 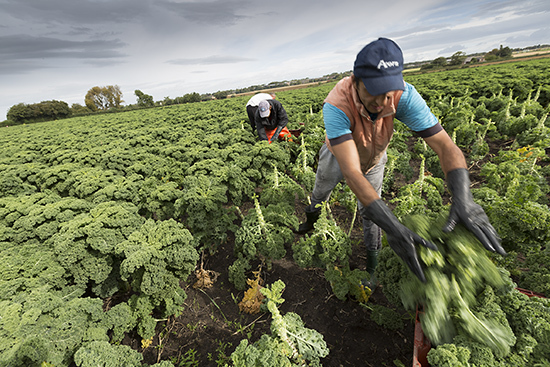 His family had been supplying supermarkets with other crops for years, before a series of poor harvests forced the enterprise onto the brink of failure. "When I got to 2013 I asked myself 'What do we do best?' 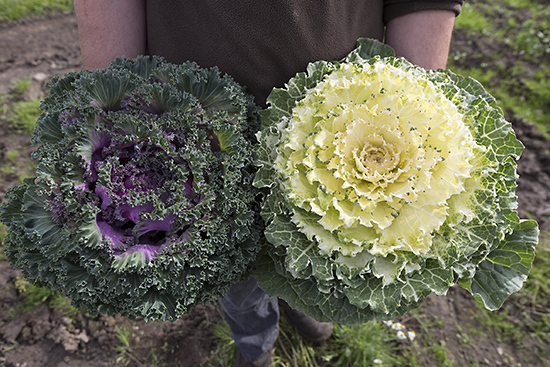 I thought kale is our thing as we can grow it all year round." The Molyneux family has a long history in Lancashire. "Our lineage goes back to the Norman Conquest," says Chris. Back then, land in this stretch of England was considered remote and unpromising: "If you look in the Doomsday Book it was worth half a cow and a pig." 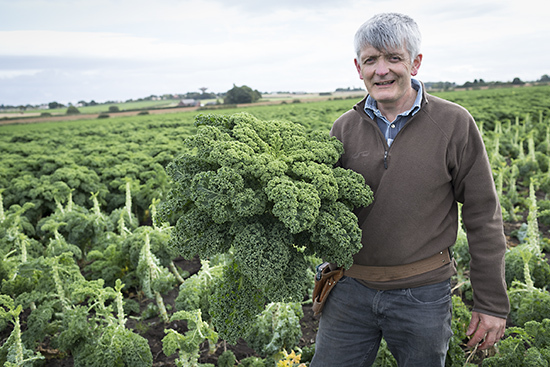 When Chris Molyneux set up the Molyneux Kale Company in 2013, he had an ace up his sleeve – his own selection of curly kale which he can harvest in April, May and June, a period which is traditionally a gap for British growers when Spanish supplies fill the shortage. 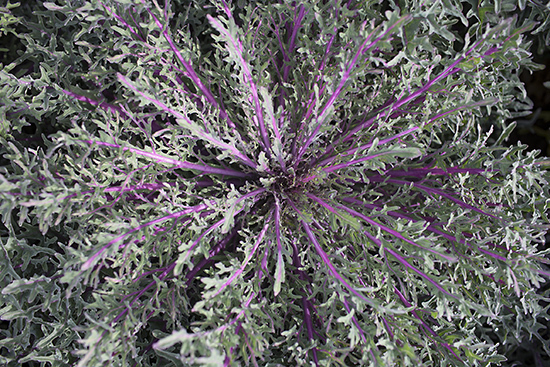 This kale was the result of a cross between curly kale and the family’s own strain of spring greens. 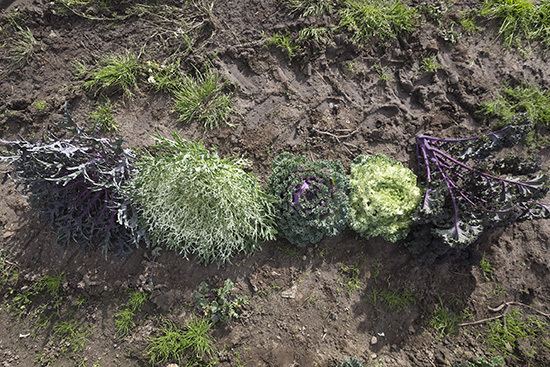 "We kept our spring greens and had done for decades – maybe centuries." 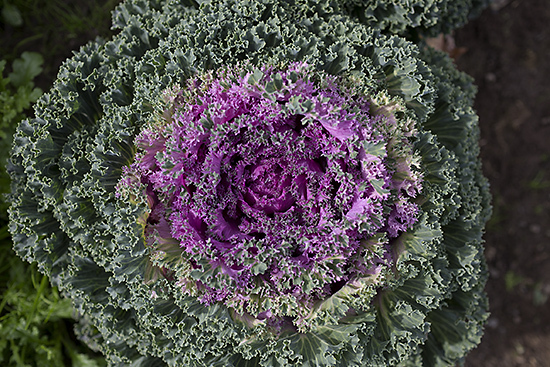 Kale is famous for its myriad health benefits. It contains isothiocyanates, which may help protect against cancer, plus luteins and zeaxanthin, which help prevent the degeneration of the eye in old age. It is also very high in beta carotene, vitamin K, vitamin A, vitamin C and and reasonably rich in calcium. 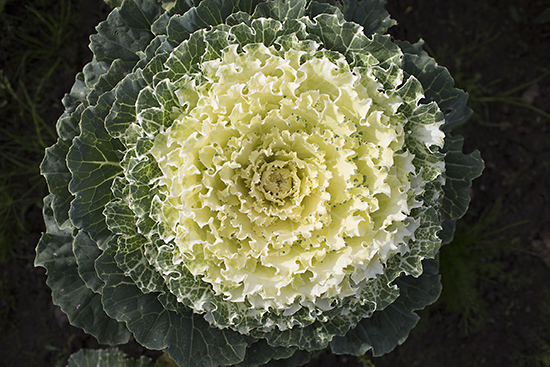 Kale is also beautiful plant, as the pictures below will surely prove. What's more, it's hardy – able to stand extremes of weather. Cold weather, in fact, brings on the colour in the crop. 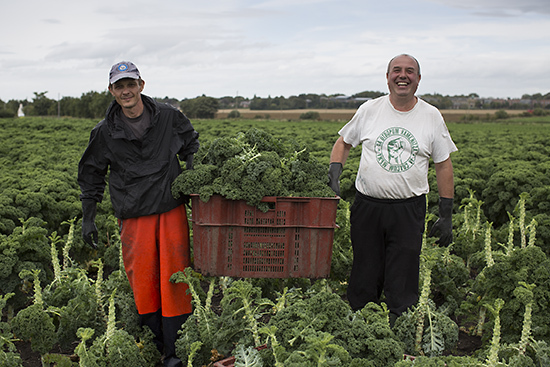 Chris grows his kale using a range of sustainable farming practises and is accredited with the LEAF marque. 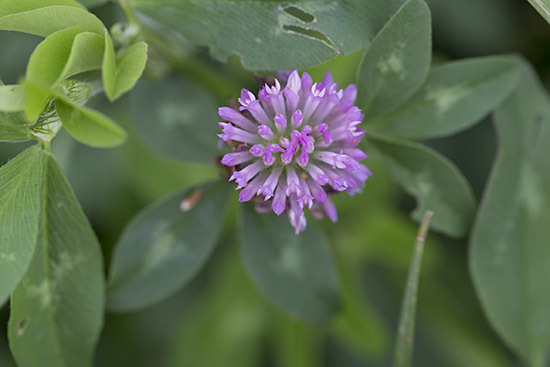 After two years of growing kale, fields are left fallow and planted with a range of green manures, such as red clover and perennial rye. 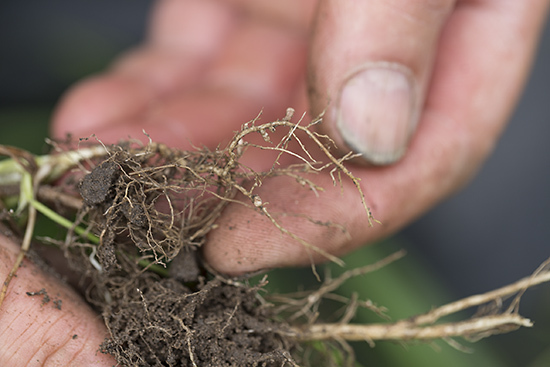 This technique helps to return nitrogen to the soil, which you can see here in the nodules on the roots of the plant. 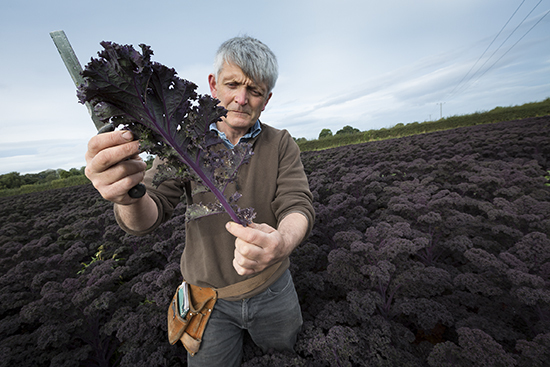 "You see benefits in the colour and flavour of the kale," Chris says. 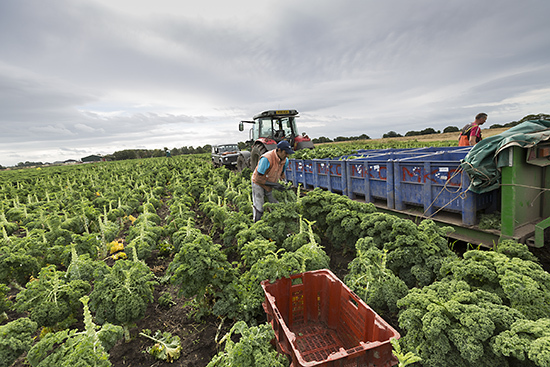 The Molyneux Kale Company is trailing various combinations of green manures in partnerships with the Soil Association. Another tactic is to leave 2.5 metre strips through his fields. These are unsprayed and act as wildife habitats, wildife corridors and offer sources of food. The Royal Society for the Protection of Birds has commented on the wide variety of species now on the land, such as lapwings, corn buntings and skylarks. 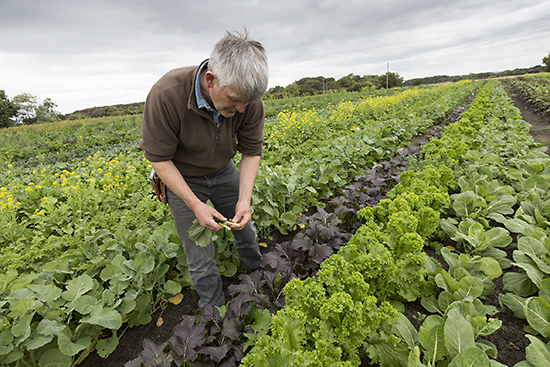 In his test field, Chris trials a wide range of varieties to identify which are well suited to the local climate. 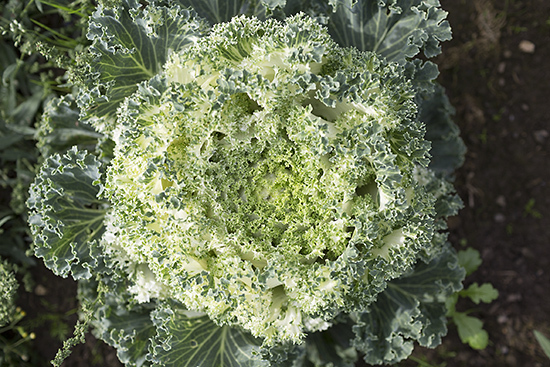 "What we don't know about kale is not worth knowing." 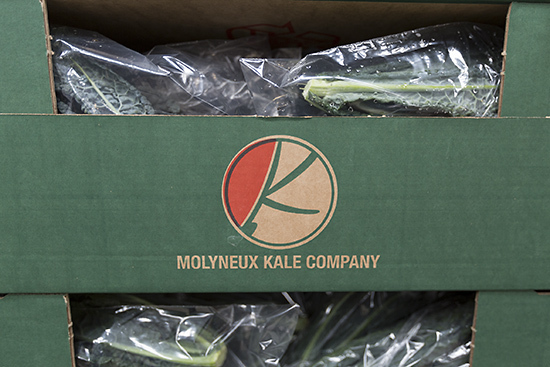 Another innovation has been in the marketing of the Molyneux Kale Company. Chris' daughter helped with the design of the modern logo. "It's got to look right - it's part of the sell." He also commissioned specially shaped plastic bags which fit specific varieties of kale when harvested still on the stalk. Chris takes pains to offer his own advice on how to cook kale. "People don't have a clue what to do with it," he despairs. 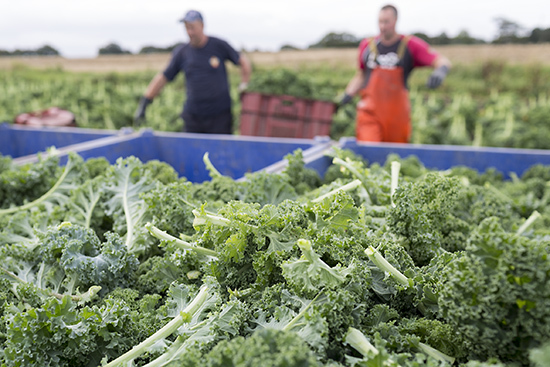 One common mistake is to buy ready-chopped kale. "As soon as you chop up anything the flavours and nutrients start to degrade." Another mistake, he says, is to discard the stalks – the sweetest part. "All the sugar is in the stalk – cut it up fine and eat the whole thing." He recommends finely chopping the kale and adding the stalks first to a thin layer of water with a sprinkle of sea salt, then layering the leaves on top. He times exactly three minutes from when the water starts bubbling. By this method, the stalks are boiled to soften them while the leaves are gently steamed. He then refreshes in cold water, drains and often adds a splash of soy sauce. Chris also recommends finely chopping raw kale before dressing with extra virgin olive oil, sea salt, balsamic and a sprinkling of parmesan cheese. You will find other recipes here. He says 2013 was the year when kale sales really took off: "It was amazing – it happened at just the right time." By his own admission, Chris is obsessed by the stuff. "I just love it," he declares. 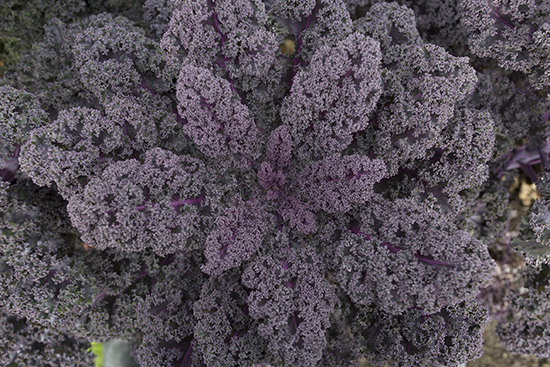 He even built a Christmas tree out of kale – a task, he later explains in a nearby pub, that's harder than it looks.